Last year, Microsoft released a new corporate video-sharing service, Microsoft Stream, that will eventually replace Office 365 Video. Therefore, my book Office 365 from Scratch had to be updated with a new chapter, and the kalmstrom.com Tips section needed a new article. As you might have seen earlier, the new edition of Office 365 from Scratch has been on the market for a while, and a new article and demo have also been created. Microsoft Stream is intended for video sharing within an organization, and it can be used both stand-alone and integrated in Office 365. There are different Plans with more or less features, but in the demo below I am using the Stream edition that is included in the Enterprise E3 Office 365 subscriptions. Office 365 Video was launched as late as 2015, so it is also a fairly new product. Despite this, Microsoft decided to create another video service. Microsoft has promised a smooth transition from Video to Stream, but the deprecation of Video will of course still create problems for users and administrators. Even if Microsoft can transfer all content from Office 365 Video into Stream and make sure that existing Video embed codes and links will redirect to the Stream content, people have to re-learn after so recently having gotten used to Video. The process will be easier if users see that Stream is better than Video, and in my opinion the switch is worth the trouble. Stream has several benefits. Stream is much more than just a password-protected version of YouTube. In the demo below I just show the basics, but in Office 365 from Scratch I describe how Stream is connected to Office 365 Groups. This means that Stream has two ways to categorize videos: channels to organize them by content and groups to limit access to certain videos. Stream can generate a transcript when the video sound is in English or Spanish. I am sure Stream transcripts will support more languages in the future, because even if you should edit the transcript to make it perfect this is a very useful feature. The Stream search feature uses the transcripts, so editing them is important also to optimize the search. It is easy to edit the transcripts, as they are shown beside the videos and you can follow the audio and text closely. Embed a video in a SharePoint Online wiki page. Use the Stream web part to insert a video or channel in a modern SharePoint page. Add a tab with a Stream video or channel in a Teams channel. Paste a Stream video link into a Yammer conversation. Paste a Stream video link into a OneNote page. Embed a Stream video in a Sway. You can find much more information about Stream and other Office 365 services in my book. Office 365 is being enhanced continuously, and new features are added each month. With Stream, Microsoft has given us a powerful tool for internal video sharing – I just wish that it had been published instead of Video from the beginning! A few months ago, we released a new version of the Kanban Task Manager SharePoint editions. It had several new good features, and we got positive customer feedback for the enhancements. Now we have released an update of Kanban Task Manager, giving more possibilities to these features. Two new views, the Daily Trend and the Day Report, have also been added in this version. At this time, we have only released the sandboxed solution, but we will release the add-in very soon. Kanban Task Manager is among the most popular kalmstrom.com solutions. 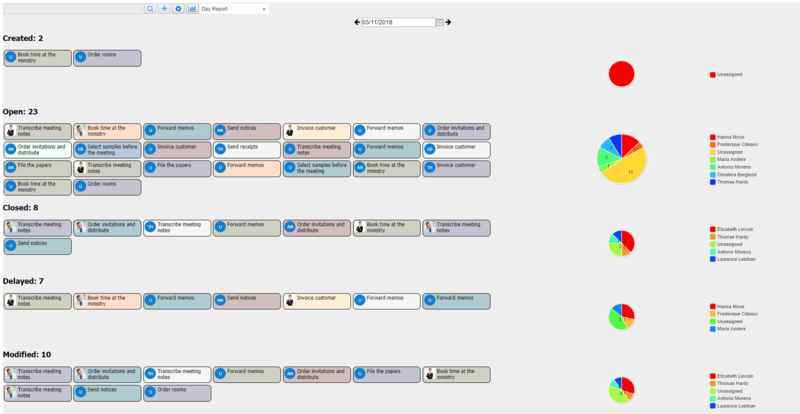 It helps a workgroup visualize and manage their tasks or projects on a virtual kanban board in SharePoint. There are two SharePoint editions of Kanban Task Manager: sandboxed solution and add-in/app. The sandboxed solution is uploaded to the solutions gallery in the root site of a SharePoint site collection, while the add-in can be installed from SharePoint Store to the site where it should be used. The add-in can also be downloaded from kalmstrom.com website to the organization’s App Catalog and installed from there. One of the useful Kanban Task Manager features is the Checklist. Once you enable this feature, you can add a checklist to any complicated task and keep track of the work done in a simple way. In the new version, the kalmstrom.com developers have enhanced this feature and made it more user friendly. Now the task card displays the checklist count if you have added a checklist to that task. Also, by dragging and dropping the checklist items, you can change their sequence or even remove them. Kanban Task Manager has various views where you can study the tasks from different aspects, and we have now added two more views: the Daily Trend and the Day Report. The Daily Trend view displays the statuses of all tasks from the last 30 days in a line chart representation. The line chart shows the number of tasks that are open, closed or have been created each day. The Day Report shows task activities on a specified day. You can select the date of your choice and view the tasks that were created, open, delayed, modified and closed and also see which people or groups worked with them. Our subscriptions include support as well as upgrades. If your organization is a subscriber to the Kanban Task Manager sandboxed solution, you are welcome to upgrade it. If you have not yet tried Kanban Task Manager for SharePoint, you may download the full version and evaluate it for next 30 days. We provide full support during the evaluation period. Our Support team is always here to help you if you should need any assistance. You can subscribe to Kanban Task Manager on monthly as well as yearly basis. In case you have any queries regarding product subscriptions, please do not hesitate to contact me or my colleagues at the Sales department. My book Office 365 from Scratch is now published in a second version. During the year this paperback and e-book has been for sale on Amazon, Microsoft has made many important changes to their online platform. An update was necessary, and in the process I have also added 60 pages with more detailed information. Office 365 has become a huge topic, and everything cannot be covered even in an expanded version of my book. For one of the included parts, SharePoint, I have published a book of its own, SharePoint Online from Scratch, and I could do the same with Power BI, PowerApps and several other services that come with an Office 365 subscription. Maybe I will! My aim with Office 365 from Scratch is instead to help decision makers and administrators to learn what possibilities the platform gives, to introduce the different parts of Office 365 and specify the right words for the features in apps and services. With such basic knowledge, you will know what things are called and which features are interesting to your organization, so that you can continue your exploration online if needed. Another goal with Office 365 from Scratch is to describe how different Office 365 apps and services build on or enhance each other. SharePoint is for example used in Office 365 Groups, which in turn is heavily used in Planner, Teams and Stream. In some cases the book gives links to Microsoft information, but most frequent in the book are the links to my own articles with video demonstrations on kalmstrom.com. I hope these articles will enhance the information in the book. The articles have been updated as much as my time has allowed it, but I have made the book a priority. All text and all screenshots in Office 365 from Scratch are valid for the latest version of Office 365, and sometimes I also mention Microsoft's future plans for the apps I describe. When I first published Office 365 from Scratch, Teams was just in preview and Video and Sway was very recently launched. Now, one year later, Microsoft has improved Teams and Sway considerably – and decided to withdraw Video! A new service, Stream, will replace Video, so the Video chapter in my book has of course been replaced with a chapter about Stream. The Teams and Sway articles and demos on kalmstrom.com have been updated, and there is a short Stream article. I will create a Stream demo as soon as possible. 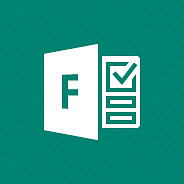 Microsoft Forms is another new service, which did not exist at all when I wrote the first edition of Office 365 from Scratch. Now Forms has its own chapter in the book, where I describe how you easily can create and distribute surveys and quizzes and study the results of them. With all work, designing custom solutions as well as updated features in the kalmstrom.com standard products, I would not have had time to update Office 365 from Scratch by myself. My mother Kate has made considerable contributions, and Rituka and Dipti have proof-read everything and given important comments on both language and content. These three did also assist me in the recent update of SharePoint Online from Scratch, so even if I am the author and responsible for all content, my books have been written as a team work. Now we will take on new challenges!